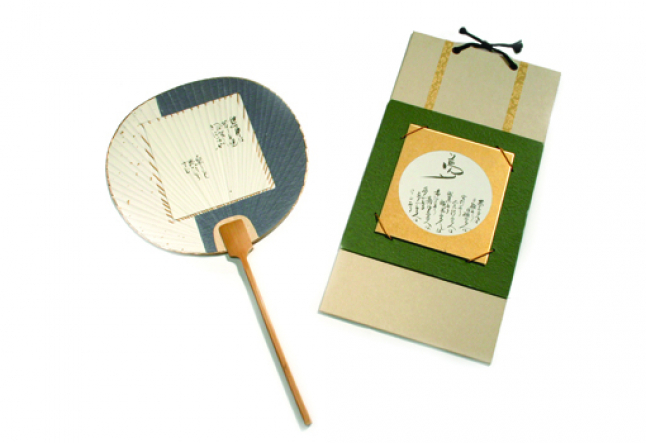 There are two old sayings in Japan that are often referred to in the shodo (Japanese calligraphy) world: “Kokoro tadashikereba fude tadashi,” which means that a brush without the correct mental attitude creates superficial characters or images that lack strength. Another is, “Seishin toitsu,” which means the spirit (and mind) is gathered; the myriad distractions are gone and all that remains is the self, focused and attentive on the here and now. All is equal and in harmony and this transcends all. 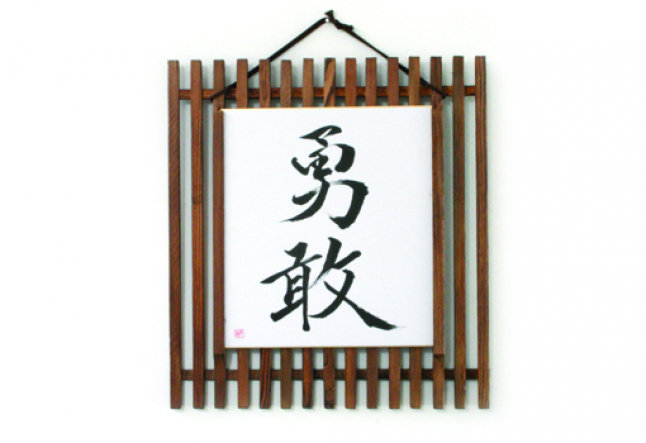 This is perhaps where shodo (or sho) differs from the Western art of calligraphy. Though both are beautiful expressions of language, in sho, lines cannot be added or fixed; one brush stroke is everything, and because of that, it requires tremendous focus. With the influence of her mother, who was also a calligrapher, Hagino Miho began practicing shodo at the age of three. 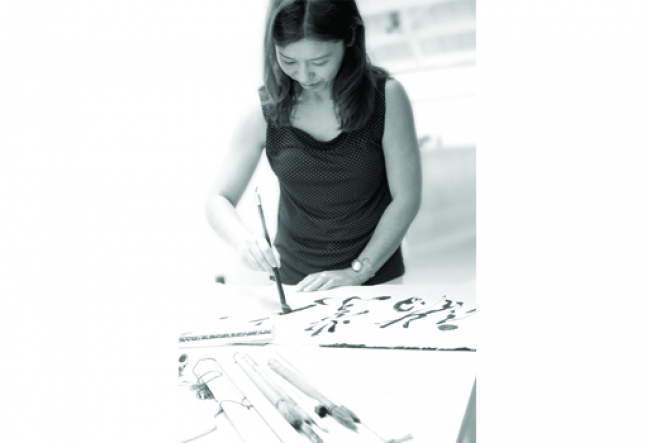 At sixteen, the Shosen Shodo Association in Japan granted her the title of shihan, a master of Japanese calligraphy. Shortly after however, she withdrew from the practice having lost sight of the purpose behind her art. Many people see sho as the expression of one’s ki or internal spirit. Sho allows the dynamic movement of the artist’s spirit to become observable in the form of rich black ink. In sho, you can sense both the rhythm of music as well as the smooth, elegant, balanced and sometimes very experimental construction of architecture. 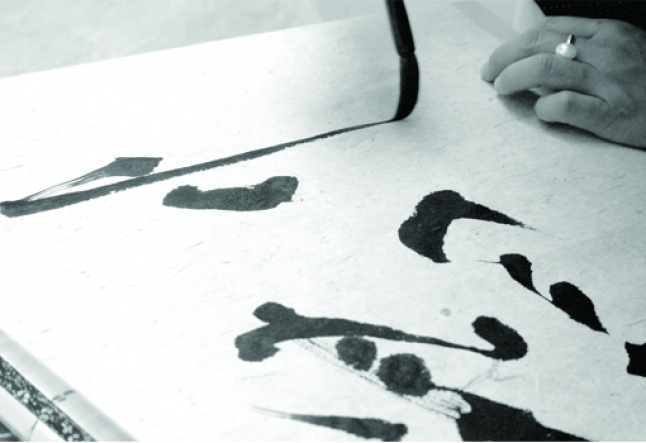 The brush strokes reveal the state of body and subconscious mind of the calligrapher. 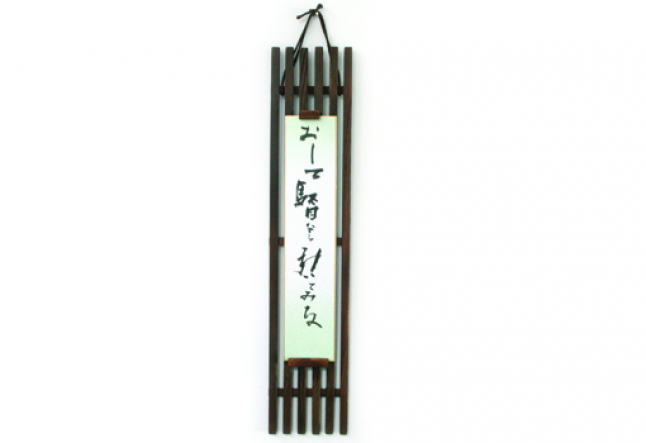 In genuine sho, the mind is vividly present and to endow the characters with life, the calligrapher not only has to master the brush technique but more importantly, train the mind.